With old-world flavors combined with modern day healthly snacking, we encourage fitness and ingredient awareness that benefit not only your proactive lifestyle, but those around you. California is home to "tech giants," such as Google, Facebook, and Apple which is also the birthplace of Flamous Brands. Our products are not just a healthy snack, they open opportunities for mouthwatering cuisines and its "melting pot" of diverse cultures. 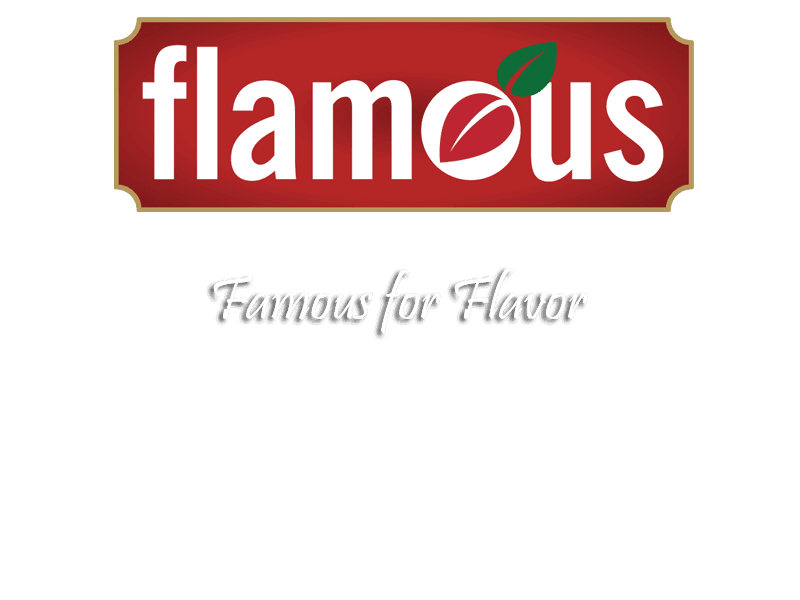 Flamous, merging of “Famous for Flavor,” sought out to create the ultimate snacking chip by combining our blend of quality ingredients with a unique, unparalleled taste. We searched to redefine the healthy snack from being ordinary and dull into being tasty and exciting. We wanted to incorporate our expertise in spice blending and flavor development to bring you a "one-of-a-kind" chip that you won’t get anywhere else!